The research firm Gartner predicted that by 2020, customers will be able to handle around 85 percent of the relationship with the company without communicating with a human agent. Interactive voice response (IVR) technology is one such major component related to non-human interactions of companies and customers. IVR can be basically described as a telephone system which uses voice command or keypad tones for providing the most appropriate response using the software. While having a chat with customers, there is possibility that agents may commit an error once in a while. The firms do not have to worry about these manual errors while utilizing the IVR system for interacting with the customers. Even if a company is unable to hire multiple call center agents for a process, it can use IVR system to reflect the professional side of the brand. It gives an impression to the customers that company operates on a large scale and is dedicated to help the customers. Through IVR, customers receive direct and to the point response of their specific query in a fast manner. Also, they do not have to hold their call while waiting for a response from the agent’s end. All these features ensure that customers feel more satisfied while contacting the brand for a resolution. Companies may have customer support department which is operational only for a limited hours of the day and for selected days of the week. This may frustrate the customers who have queries during the non-operational hours. In these scenarios, IVR system acts as a savior as it is active round the clock for whole year. The companies also do not have to worry with issues like shortage of employees during holiday season if they are using an advanced IVR system. Imagine the positive impact on customer when he hears his name while interacting with the IVR system. The customer will get more excited if the greeting by IVR is as per the time of the day. Companies offering IVR development services can program the IVR system for personalized greeting and messages which will be appreciated by your customers. IVR reduces the number of customer queries to a great extent. This ensures that companies don’t have to rely completely on call center agents for getting the queries resolved. Therefore, firms have to hire and train comparatively less number of agents. Companies don’t have to spend a fortune for implementing IVR for their own office use or for customer support process. The developmental costs of IVR system are highly reasonable and savings due to its technology provide handsome returns on investment (ROI). Satisfaction survey is a powerful tool which gives comprehensive information on satisfaction level of the customers. And outbound IVR can be developed for conducting surveys effectively on large scale. This automated system saves dependency on outbound call center agents. Also, several customers provide more honest feedback and rating when the process is automated. There are several cases in which the customers do not prefer interacting with a real person in order to resolve the query. This situation may occur if customer wants to maintain privacy related to shopping/use of a specific product. Also, several customers find it troublesome to describe queries to an agent on the other side of the call. In these situations, IVR system acts as solution for the customers that ensures privacy and saves customer from describing the whole issue. There is possibility that call center agents may get tired after attending numerous calls of the customer. As a result, the energy level is decreased and they do not interact enthusiastically with the customers. But machines like IVR are always free of feelings like tiredness and frustration. Companies can design IVR in more than one language if the target audience consists of customers using different languages. This is another major step towards customer retention. 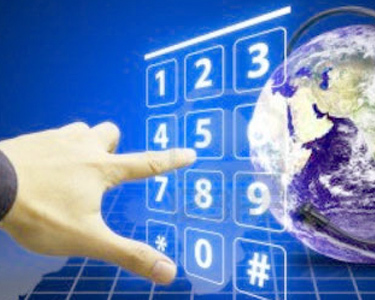 In present scenario, one cannot imagine a customer support without an optimized IVR system. Also, technologies like visual IVR are developed by companies which are aimed to bring revolution in interaction with the customers in upcoming years. How IVR transforms the quality of customer experience?